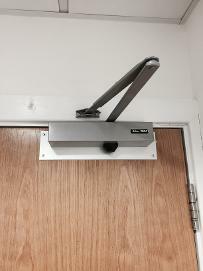 Are You Looking for a professional, Friendly, and cost effective locksmith in Wakefield? If so you've come to the right place! 1st Defence Locksmiths Wakefield are a family run locksmith company covering all of Wakefield and the surrounding areas. Whether you need a faulty lock opening, have lost your keys, need a repair after a burglary, a new top of the range lock fitted or just some advice on additional security we can help. How do we keep costs low? Is it because we offer a lesser service than all the other Wakefield locksmiths? Certainly not, we keep costs low due to been a small family run company. We never charge a call out fee or VAT which helps to bring the cost down by a sizeable amount. It is a well known fact in the locksmith industry that the market is flooded with national locksmiths and call centres which usually charge a considerably higher hourly rate and put huge mark ups on parts supplied. As well as pre booked work we also offer an emergency locksmith service in Wakefield. At 1st Defence Locksmiths Wakefield we know that if you are locked out, been burgled or have a door you can’t lock that this can be a very distressing time. Because of this we will always try and be at your home or business within 1 hour of your call where possible. 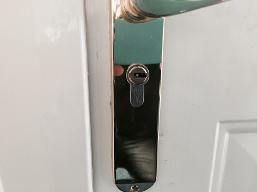 At 1st Defence Locksmiths Wakefield we carry a huge range of parts with us so it’s highly likely that we will be able to solve your lock problem the first time we visit your property. In the event that we can’t achieve this we can usually source and fit the parts the same day meaning your problem is sorted quickly and efficiently. If we can’t solve the problem at the first visit to your home or business we will never charge you for the time it takes to nip off and get the parts required unlike the national locksmiths and call centres. Because of the huge amount of experience we have gained over the years we can normally give our customers a fixed quote over the phone. In the unlikely event that we are unable to give you a quote over the phone we will arrange to visit your property and give you a free, fixed price no obligation quote. At 1st Defence Locksmiths Wakefield we are fully insured with public liability insurance and we are also Criminal Records Bureau checked (CRB checked) All the parts we supply and fit are top of the range and as a result we have no problem in offering a full guarantee against manufacturing faults on all the parts supplied by us. If a problem does occur with any part supplied by us in the first year we will supply and fit a new one free of charge so you can be sure you are in good hands when you choose 1st Defence Locksmiths Wakefield. Please don’t hesitate to contact us for more info by either calling one of the numbers at the top of the page or alternatively please fill in the contact us form and we will get in touch with you as soon as we possibly can.